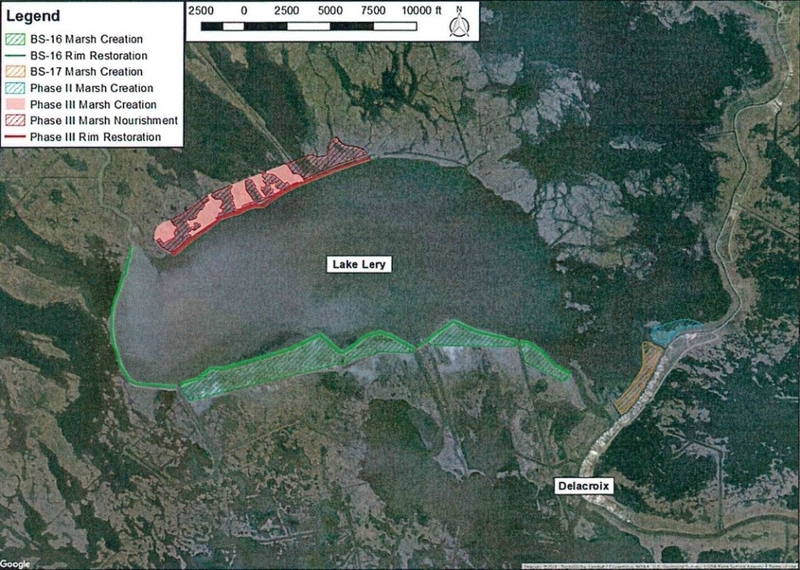 All South is acting as lead coastal engineer and surveying consultant for the Lake Lery Marsh Creation and Rim Restoration project in St. Bernard Parish. The project will create 177 acres of vital marsh within Lake Lery, nourish an additional 209 acres, and develop a rock embankment along the northwestern sector of Lake Lery to improve shoreline protection. The scope includes all coastal engineering, coastal wave modeling, and surveying services conforming to the latest CPRA Marsh Creation Design Guidelines. All South is excited about the opportunity to continue helping St. Bernard and the State in their coastal restoration strategies and designs!